With the advancements in modern VoIP technologies, traditional phone systems are quickly becoming a thing of the past. While no one can forecast the exact date, current trends can reasonably show that within the next 10 to 15 years almost all voice systems will be digital. 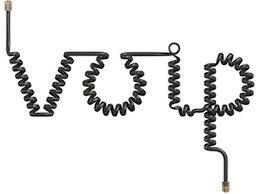 It certainly seems that if you don’t implement VoIP today, you will in the near future. However, when transitioning to a VoIP solution, an understanding of the demands voice technologies have on the network is critical. In the past types of data were, for the most part, separated into their respective networks. For example, the POTS (Plain Old Telephone Service) system was suited only for carrying voice traffic. On the other hand, a typical corporate network would mostly carry digital TCP/IP data traffic. In this manner, the traffic was segregated. Conversely, modern networks try their best to cram a variety of traffic types and applications onto a single, consolidated network. Consolidating voice, video, data, and a whole host of other applications onto a single network creates benefits for the organization including cost savings, lower total cost of ownership, management simplification, and an improved return on investment. Unfortunately, there is one caveat: sometimes during peak network utilization non-voice traffic can overcrowd the communication channels and phone call quality will suffer. Calls that are not protected can cut out briefly, fail to connect or drop in the middle of a call, which is unacceptable. Voice traffic does not usually eat up large amounts of bandwidth, but it can be fussy and does require prioritization over other types of traffic. If the bidirectional latency for a voice connection exceeds 250ms, users will notice poor call quality. 100ms one-way latency is a generally accepted rule of thumb for good call quality, but up to 150ms (one-way) is still acceptable. Because voice streams can be fragile and finicky, they usually need to be protected with a QoS policy. What is Quality of Service and why do I need it? Quality of Service (or QoS) is a means to protect your voice traffic so it does not get neglected on your network during times of congestion. If a user was downloading a large file and maxing out your internet bandwidth, it would be very hard to make a call without QoS. If you were to enable QoS on a circuit that is congested, the QoS interface has the ability to make intelligent choices about which traffic to transmit, buffer (or queue), or discard. For example, a QoS-enabled circuit that is maxed out could choose to forward voice traffic first and discard any lower priority traffic. This example is a little oversimplified, but it illustrates the point QoS enables the prioritization of traffic with traffic classes. Also, remember that while QoS implementations and features can vary slightly between products, QoS is a widely accepted industry standard that is mostly vendor neutral. Whether you choose an Avaya system or a Digium solution, you will have standard QoS capabilities. By now you are beginning to understand the demands of voice technologies in modern converged networks, and we haven’t even scratched the surface regarding QoS features and benefits. QoS is a blessing for anyone running VoIP on their business network. If you haven’t upgraded your voice system to a VoIP solution yet, you will likely need to soon as older voice systems become obsolete. Remember these important considerations when you do eventually transition to VoIP.